Ephesians 5:18-21 - And be not drunk with wine, wherein is excess; but be filled with the Spirit; Speaking to yourselves in psalms, hymns, and spiritual songs, singing and making melody in your heart to the Lord; Giving thanks always for all things unto God and the Father in the name of our Lord Jesus Christ; Submitting yourselves one to another in the fear of God. Colossians 3:16,17 - Let the word of Christ dwell in you richly in all wisdom; teaching and admonishing one another in psalms, hymns, and spiritual songs, singing with grace in your hearts to the Lord. And whatsoever ye do in word and deed, do all in the name of the Lord Jesus, giving thanks to God and Father by Him. Colossians 3:16a - Let the word of Christ dwell in you richly in all wisdom. Worship begins with being filled with the Spirit. It is the Spirit of God that enables man's spirit to worship God. The Spirit knows how to worship. We are to worship God in Spirit and truth. Truth, wisdom, word of God, dwell within man's heart. To know truth the word of God must dwell in the heart - it is not knowledge of the mind. Wisdom comes from the heart. Speaking, teaching, and admonishing one another, one purpose of worship. The effect on man should be proclaiming truth, instructing and using wisdom to warn, exhort, reprove each other. Psalms, hymns, and spiritual songs. Psalms 5568 psalmos from 5567, a set piece of music, ie. a sacred ode (accompanied with the voice, harp, or other instruments. 5567 psao (to rub or touch the surface) to twitch or twang, ie. to play on a stringed instrument (celebrate the divine worship with music and accompanying ode) :- make melody, sing (psalms). Hymns 5215 humnos (to celebrate) a hymn or religious ode. Spiritual 4152 pneumatikos from 4151, noncarnal, superspiritual, regenerate, religious. Songs 5603 from 103, a chant or ode. 103 ado prim verb. to sing. Psalms - sacred ode accompanied by string instruments. Many of the Psalms are meditations on the Law. Broad application - scripture accompanied by string instruments. Hymns - religious odes of celebration. Psalm 150 - Praise ye the Lord. Praise God in His sanctuary: praise Him in the firmament of His power. Praise Him for His mighty acts: praise Him according to His excellent greatness. Praise Him with the psaltery and harp. Praise Him with the timbrel and dance: Praise him with stringed instruments and organs. Praise Him upon the loud cymbals: Let everything that hath breath praise the Lord. Praise ye the Lord. Hymns were accompanied by orchestras, and dancers with tambourines. Broad application - songs that celebrate relationship with God and accompanied by orchestra. Usually a hymn is a song that survives the test of time. Spiritual songs - a chant or ode that is a song. 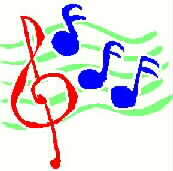 Ephesians 5:19b - Singing and making melody in your heart to the Lord. Colossians 3:16c - Singing with grace in your hearts to the Lord. Grace 5485 charis graciousness, the divine influence upon the heart, and its reflection in the life, including gratitude. Making melody 5567 psao (to rub or touch the surface) to twitch or twang, ie. to play on stringed instruments. Singing, with instruments, because of grace (gratitude) to God. Ephesians 5:20,21 - Giving thanks always for all things unto God and the Father in the name of our Lord Jesus Christ; Submitting yourselves one to another in the fear of God. Colossians 3:17 - And whatsoever ye do in word and deed, do all in the name of the Lord Jesus, giving thanks to God and the Father by Him. Submitting one to another in the fear of God - yielding to one another because of love. Do whatsoever in word and deed in the name of the Lord Jesus Christ. I John 3:18 - My little children, let us not love in word, neither in tongue; but in deed and in truth. Worship involves thanksgiving to God. We are commanded to give thanks for all things at all times and with all doing.